A passion for people, places and problem solving has been an undercurrent throughout much of David’s professional life, but it was the igniting of an intrinsic sales gene that catapulted him into commercial real estate. During his undergraduate studies at Ohio State University where he earned a Bachelors degree in Geography and History, his original plan was to become a high school teacher. After earning a Master’s degree in Education and Social Policy, he landed his first teaching job at Evanston High School where he became part of a group of teachers who started Legal Prep Charter School – the first ever legal themed charter school in the country. 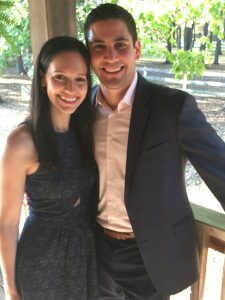 A few years later, and after spending some time teaching in Israel, David became involved in AIPAC, where his first assigned territory was Ohio. It was also where he leaned into his love of sales and first considered a career in commercial real estate. After a couple years spent learning the industry, David realized how much he truly enjoyed being a part of a team and sought after a company that he could grow with. Although David began his real estate career focusing primarily on office and tenant representation, he hopes to incorporate his love of geography and eventually evolve his expertise and hopefully become more active in the Ohio City area. Becoming a broker is where David’s passions finally feel in sync. To him, being able to offer a client a fresh look or new alternative to what they’re trying to solve is deeply satisfying. Most of all, David enjoys the tangible aspect of the real estate industry and the effect it has on his hometown. As a father of 2 kids under the age of 3, any free time David has is spent with his family in South Euclid. In between, he tries to find any time he can to sleep, as well as get outside as much as the Cleveland weather will permit. He also participates in a late-night soccer league and as a Cleveland native he has unwavering support for his city’s sports teams. Just like everyone else in Cleveland, he’s cautiously optimistic that this year is finally the year of the Browns. We’re so happy to have David on our team! You can learn more about David or connect with him directly at dleb@crescorealestate.com.